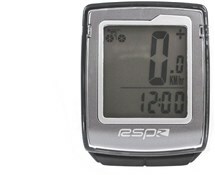 The RSP 20 Function wireless cycling computer offers a comprehensive range of metrics to begin tracking your cycling performance. Ideal for all rider levels. I tried two computers and neither of them read the correct temperature. They were reading the temperature of full sun not the shade which it should do. Obviously a fault in the product. I also didnt like the fact that the computer turns off into standby mode when not riding. So if you stop for coffee and forget to turn the computer back on - you will lose some data. Obviously you always glance at the computer and would realise its not on but you still lose some time etc. 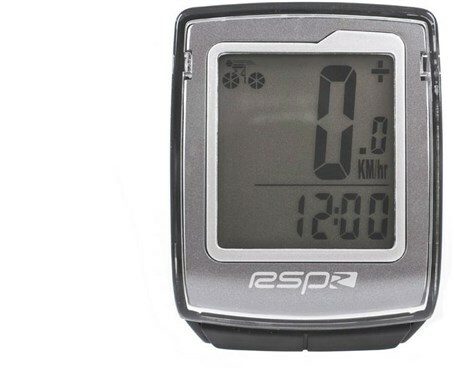 had trouble getting it working but found both batteries were flat but once they were changed it worked ok,i say ok as iv had a couple of random readings, without moving the speedo showed a maximum speed of 27mph, this has happened twice so not sure if its getting interference from somewhere. But other than that its well made. Fantastic price great product and great website . Il be back again. Ive had this for about 3 weeks now and it has been great. Not the easiest thing in the world to set up but easy to use after that. I managed to get this for £15 so the value was unbelievable. Easy to navigated website and very competitive prices I will be back to buy more!